If you didn’t know before, and especially now that this is my second nail polish blog post within a few days…I love nail polish! I feel like I’ve tried them all! Unfortunately nail polish doesn’t last more than a couple of days before it chips so I have to change the polish pretty often! 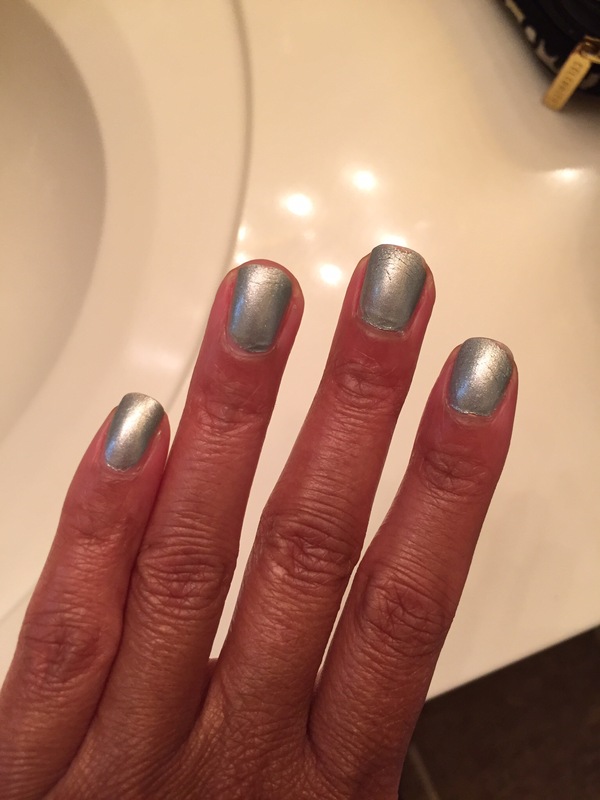 I’ve even tried gel polish at the salon and it started lifting after a week, while on everyone else it lasts forever! 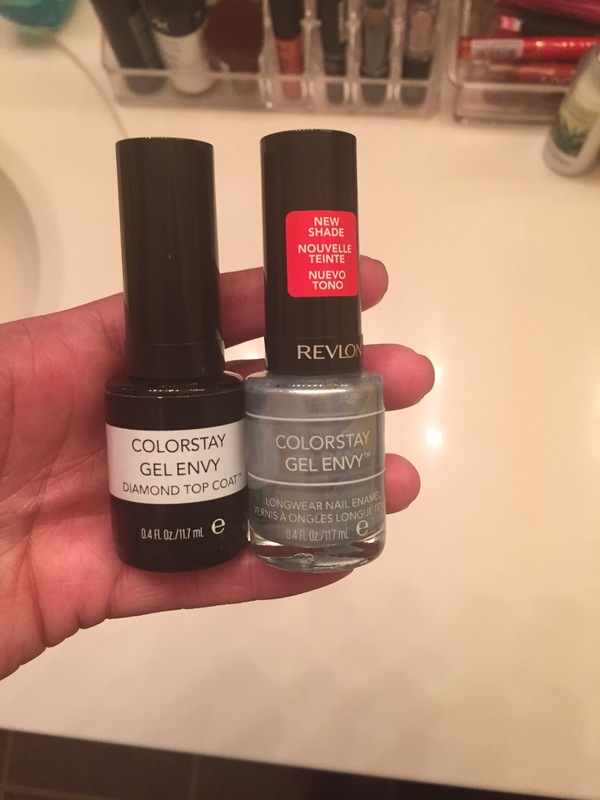 The latest gel-ish polish I’ve tried is Revlon colorstay gel envy. I’ve always heard great things about it but at 8.99 each for the color and top coat, I hadn’t bought it until recently. I was hoping to find something that would last at least 4 days while on vacay so I decided it was time to give Revlon a try! I decided to get number 345 in lucky us. I figured that if it did start chipping really bad since it was silver-ish it wouldn’t show too bad. To my surprise it lasted quite well! I put it on on Wednesday night and didn’t change it until Monday. I was in and out of water but I’m still quite pleased with the minimal chipping. I think I could easily get a week out of it under normal circumstances where I’m not in and out of water. This picture is from day 4 when I got back home. I’m super excited because this is unheard of for me getting more than two days out of any nail polish! I definitely give it a 5 star rating! I can’t wait to buy more colors! If you’ve been thinking about trying it, do it!!! You won’t be sorry. Have you guys tried this polish yet? What did you think? Lovely nail varnish! This colour is so gorgeous. Thank you! Can’t wait to try more colors!